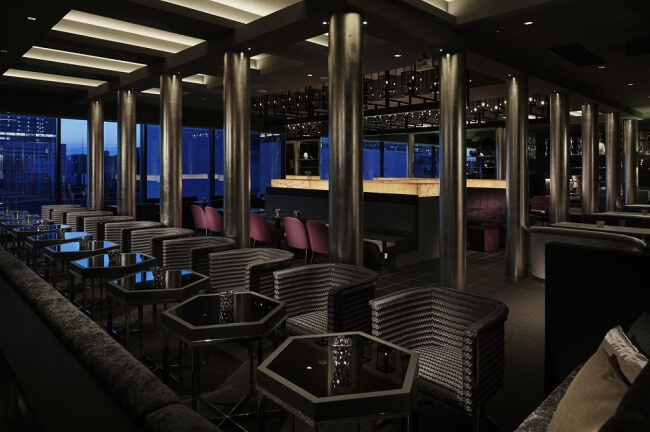 The Grand Ginza’s Grand Lounge, located at the top of GINZA SIX, will begin selling its “Pink Menu” next month. 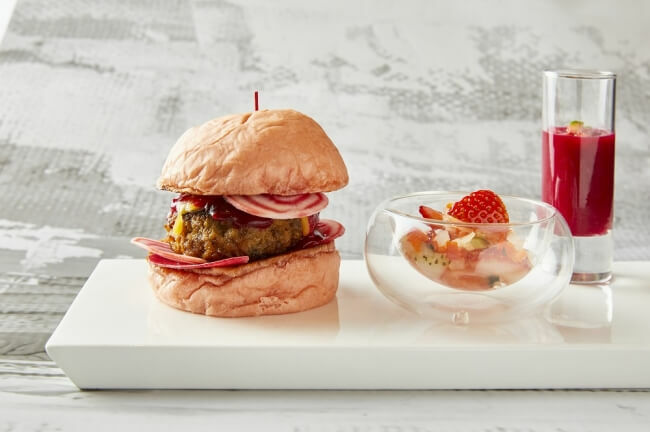 Themed on the colour of springtime cherry blossoms, the menu consists of an afternoon tea set and a limited edition burger. 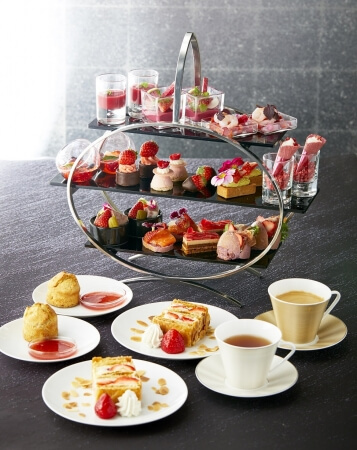 This strawberry packed afternoon tea set is a mix of seven foods and desserts including a strawberry and foie gras terrine, strawberry and shrimp Macedonian salad and more. There are also 11 varieties of tea, coffee and lattes to cheese from. The spring pink coloured burger is flavoured with red wine and berries and comes tapas that goes well with champagne or beer. This set is limited to 15 servings per day. Enjoy a spring-themed menu at GINZA SIX.